Attend the building industry’s biggest event in Las Vegas! 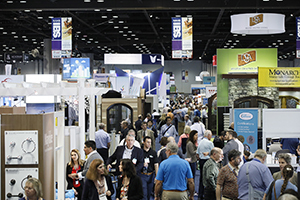 The Builders’ Show is THE place to see the latest in in home innovation and the newest products. he NAHB International Builders’ Show® (IBS) is the largest annual light construction show in the world. Attendees can tour the two official show homes. The New American Home® (TNAH), located in Henderson, Nevada, is distinguished by incorporating a wide variety of contemporary-modern design, characterized by minimal decoration, abundant glass and flat rooflines. The New American Remodel™ (TNAR), is a true showcase of innovation and design in today’s home, exhibiting the latest trends in the housing industry and advancements in technology and energy-efficiency. 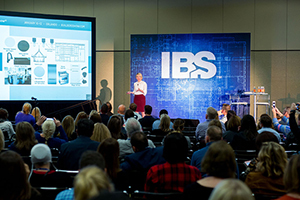 IBS 2019 offers the most up-to-date and innovative education the industry has to offer. It features sessions in eight tracks, taught by renowned building industry experts from across the country. With topics ranging from sales and marketing to construction and codes, there is literally something for everyone. Nineteen pre-show courses will be held before the start of IBS 2019. Pre-show courses gave participants the chance to increase their skill sets by delving deep into industry topics while earning NAHB CEUs. 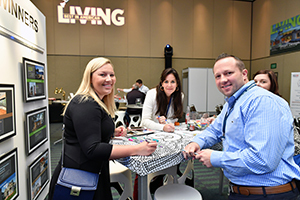 Full registrants and 1-Day Education attendees had the option to participate in five Master sessions, 3-hour intensive programs that dig deep into specific industry topics. IBS events, such as The Official IBS House Party (SOLD OUT), the Young Pro Party and the IBS Closing Spike Concert with the Goo Goo Dolls, give attendees the opportunity to network with other industry pros and have some fun too. The Centrals are the place to get new ideas and information about your specific niche. Open to all IBS registrants, the Centrals are a hub for lively programs, demonstrations and hands-on workshops—set in an informal, relaxed setting. The Centrals will feature some of the industry’s top professionals who are passionate about their area of expertise—so the discussions were always enthusiastic and entertaining!